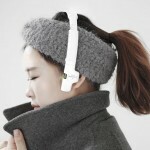 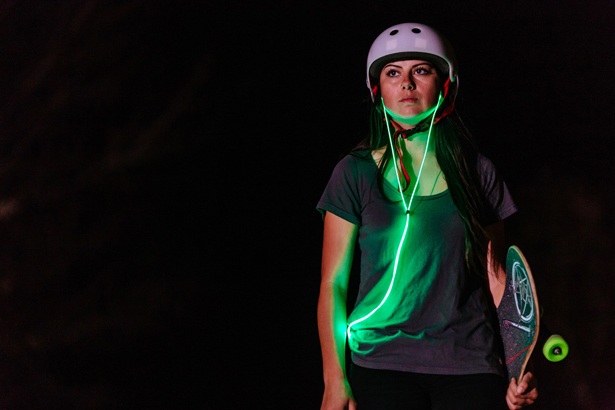 Using Glow smart headphones at night would make you look really cool, thanks to its laser light. 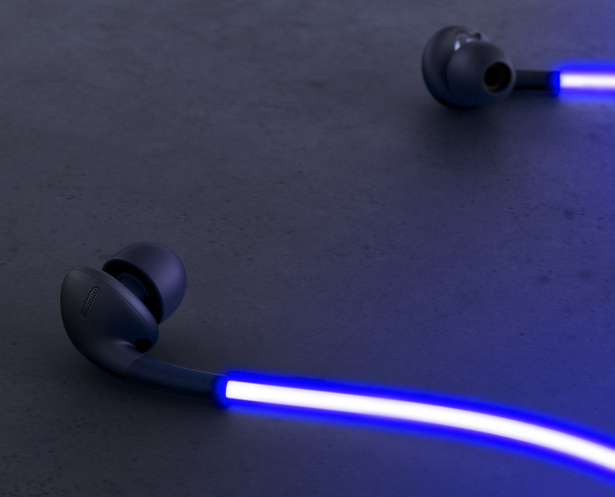 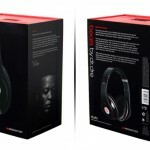 This is the first smart headphones that glow, it pulses to the beat of your music or to the rhythm of your heart. 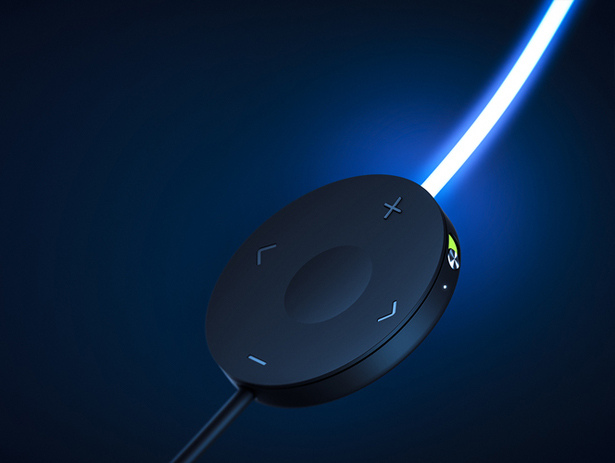 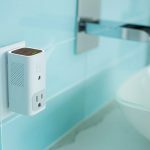 This unit is designed with special wires that diffuse light from laser, the intuitive 5-way controller allows you to control your music or even make calls/text with some apps. 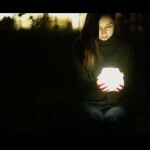 Music is a great platform to express yourself and Glow puts you at the center of it. 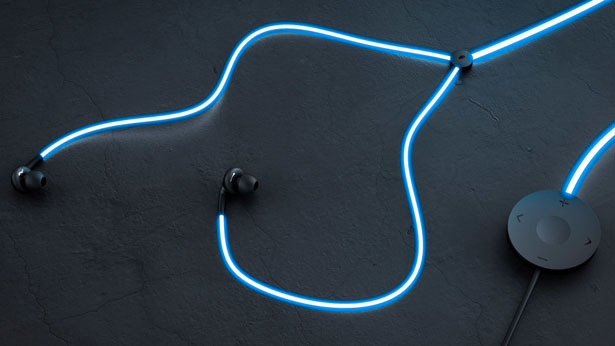 The light would sync to the beat of your music, you can do your daily activities such as skateboarding, running around malls, running, and many more, the light allows you to see and track every beat. 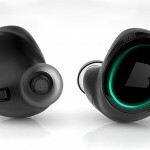 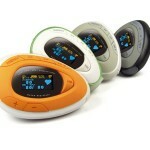 Thanks to the integrated heart rate monitor, glow also tracks the beat of your heart, keeping you connected with your inner self. 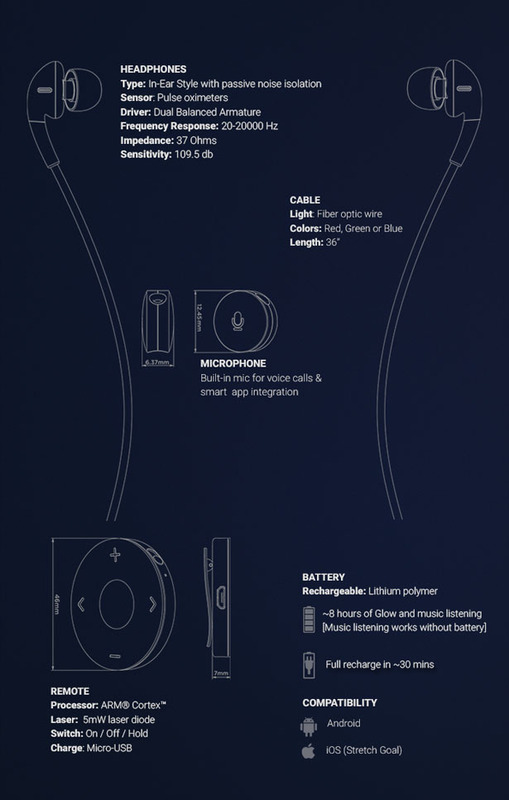 The audio quality is promised to be clear and balanced, a quality that you usually expect from high-end audiophile product. 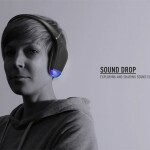 Hopefully the company delivers its promises, these headphones would be a great companion for your everyday activities, the ergonomic design follows the natural contour of your ear, making it comfortable to use. 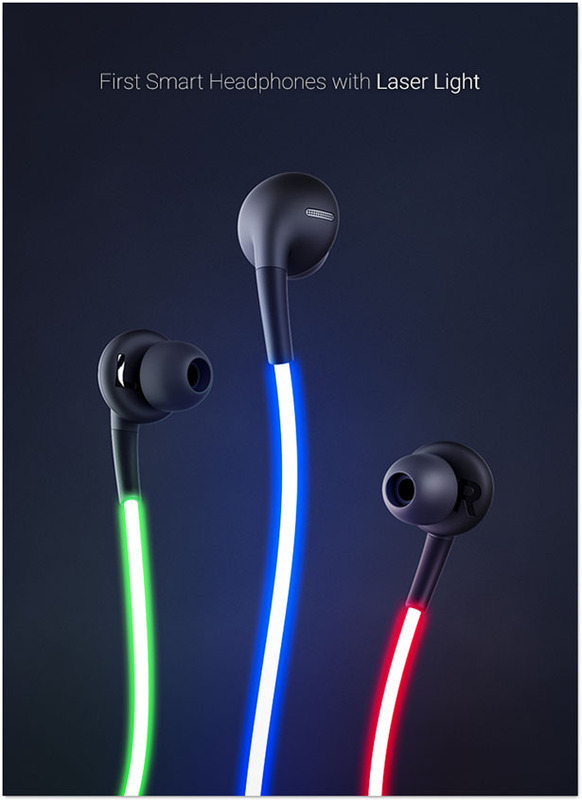 Tagged as glow headphones, glowing earphones, laser light earphones, tron styled earphones.